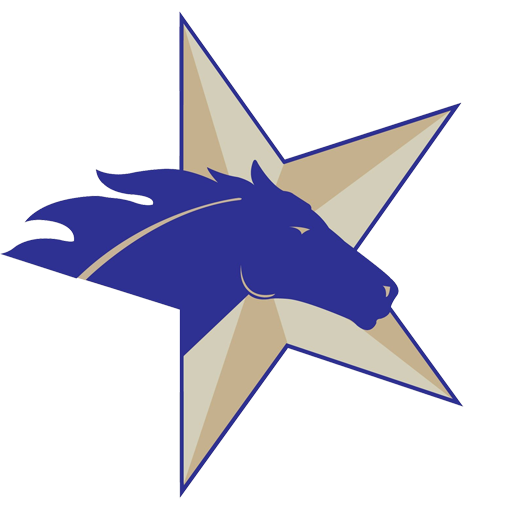 The first edition of the Southern Racehorse Stallion Register is now online with more than 60 featured stallions in Texas, Oklahoma and the surrounding region. 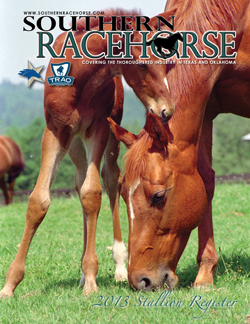 This publication replaces the Stallion Register previously published by The Texas Thoroughbred. Many stallions have a complete statistical summary available with in-depth information on the pedigree, race record and progeny record of the particular stallion. For selected featured stallions, users can also view a conformation photo and in the near future can access weekly progeny updates. Click here to view the online version. The Southern Racehorse Stallion Register also features free hypomating for any of the advertised stallions. This feature, provided by equineline.com, allows a user to input any mare as a mate for a stallion and see the resulting hypothetical foal, along with information about dosage, inbreeding, center of distribution and interactive nicking. All members of the Texas Thoroughbred Association and Thoroughbred Racing Association of Oklahoma will receive a copy of the 2013 Southern Racehorse Stallion Register by mail. Copies may also be purchased for $15 each, shipping included, by contacting Denis Blake at info@southernracehorse.com.